This book examines the concept of the compact city and the implication of the current urban context for compact city policies. It explores their potential outcomes, particularly in terms of how it can contribute to Green Growth and looks at developing indicators to monitor compact city and track policy performance. It reviews compact city policies currently being implemented across the OECD in relation to the pursuit of Green Growth objectives and provides ideas to achieve better outcomes. And it assesses the key governance challenges faced by decision-makers as they seek to implement practical compact city strategies. This report is thus intended as “food for thought” for national, sub-national and municipal governments as they seek to address their economic and environmental challenges through the development and implementation of spatial strategies in pursuit of Green Growth objectives. 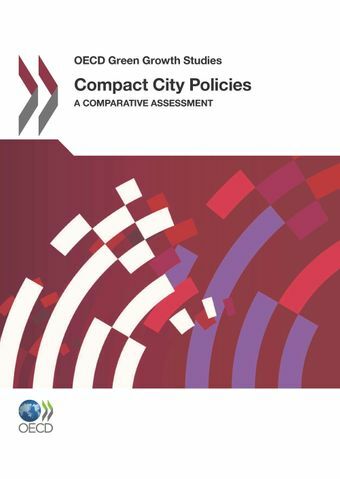 It also illustrates best practices (which present key elements of successful compact city policies) based on empirical evidence that can be shared across OECD member countries. How can compact city policies contribute to urban sustainability and green growth?